The text editor in Storyline 360 gives you complete control over text formatting and placement. 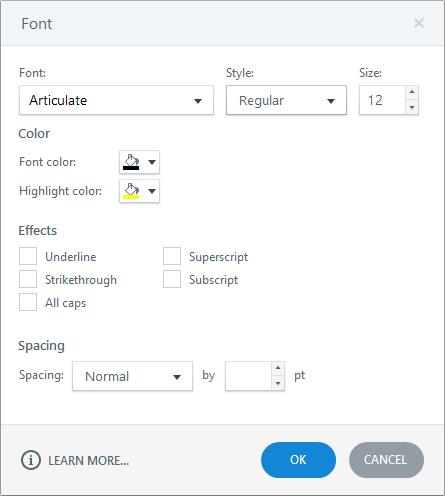 In this user guide , we'll explore the font formatting features. For paragraph formatting options (alignment and spacing), see this user guide. Select the text you want to edit, then go to the Home tab on the Storyline ribbon and use the Font formatting options. Use these shortcuts for common tasks to work even faster.